One of the main reasons people give for moving from full-time employment to contracting – other than having more control over their lives – is that they want to make more money. But once you are working as a contractor, what can you do to use your skills to make even more money? 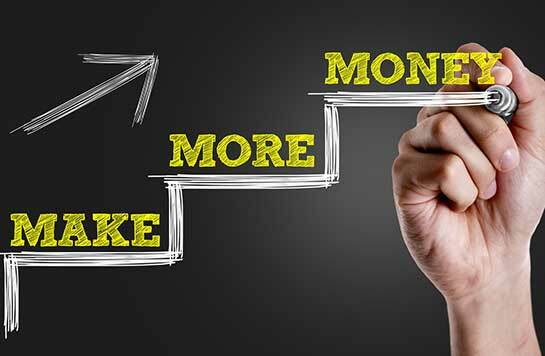 While making more money as a contractor will take a lot of work, there are still plenty of actions you can take to make your contracting business more lucrative. Here are Fusion’s top tips on how to make more money as a contractor. You can offer the expertise and experience you use during your day-to-day contracting work as a consultant, meaning you can charge a lot more money per day. While working on any project as a contractor, you will learn a lot about that particular project as well as the company you do the contracting work for. Once your contracting job with that company is over, offer to continue helping with the project as a consultant. You will be able to earn more money, and the job will be easier because you have already invested so much time in it. While getting work through an agency can make things easier, and you probably won’t earn much more money from a job by going directly to a client, you will get the opportunity to continue taking on contracting work from a company, which an agency might not allow you to do. As a contractor, you have certain useful skills that most people don’t have. You can offer to teach employees of companies these skills by running training courses. You’ll likely be able to earn more money than you would through your normal contracting jobs, while being more attractive to companies because you can still charge a lot less than the tens of thousands of pounds they might have to pay elsewhere. If you’re an IT contractor, you will probably have jobs where you have to install new IT systems for your clients. However, it is one thing for a company to have an IT system, but they need their employees to actually understand it. This is an opportunity for you as an IT contractor to earn more money, by offering to train a company’s employees in the IT system you install for them. If you’re an IT contractor, you should be up to date with all the latest developments in IT systems, which means you are in the perfect position to assess whether a client needs an upgrade. Work out how much it would cost to redesign, and go to your client with a proposal. You’ll earn more money as an IT contractor by creating work that wasn’t originally there. A good accountant can help you keep more of the money you earn by helping you become more tax efficient, and give you more time by helping with the more time-consuming things like bookkeeping. Fusion Accountants are experts in helping contractors with their accounting. Get in touch now to see how we can help.